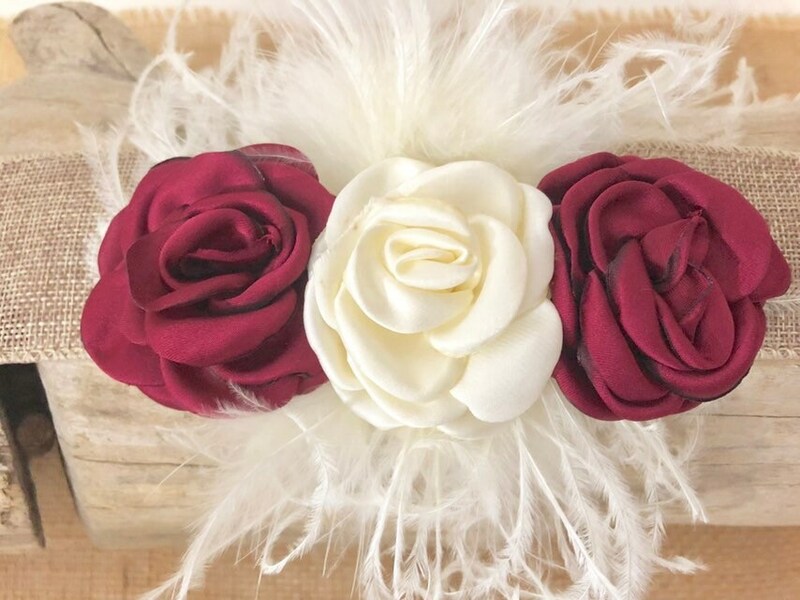 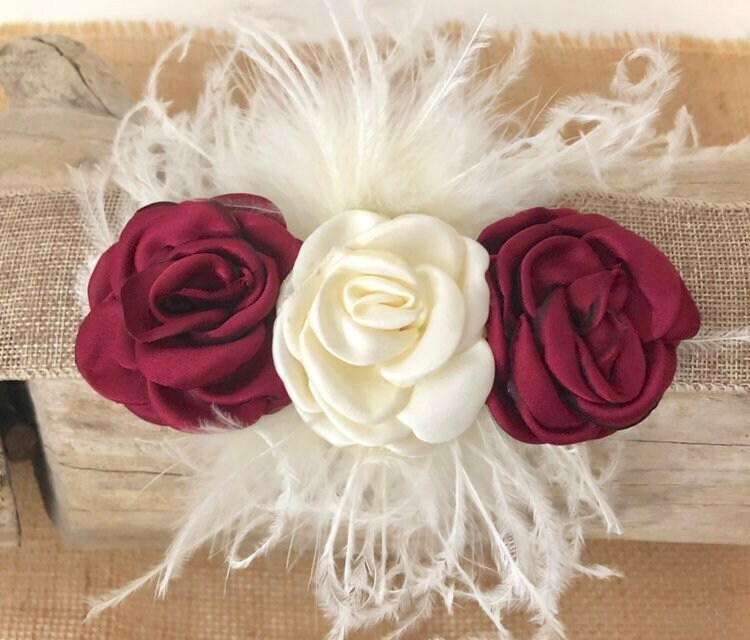 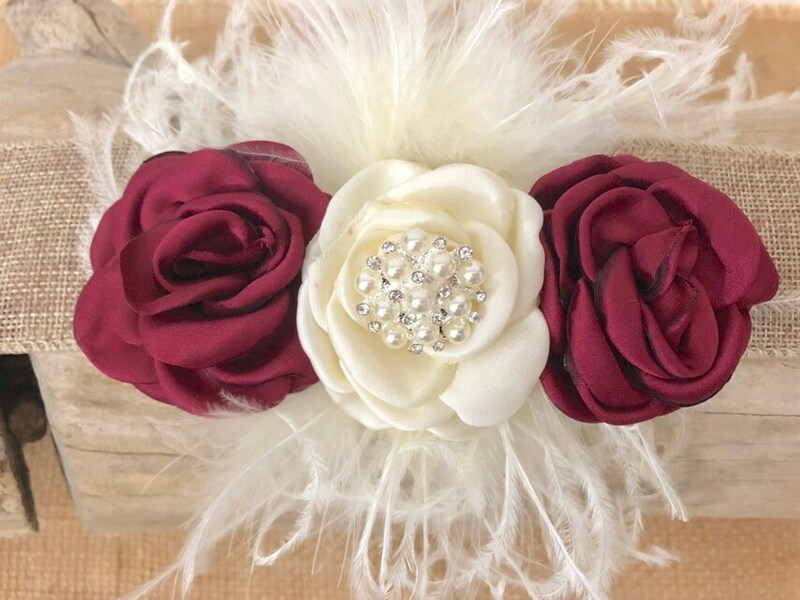 2 inch Flower, Pearl Rhinestone, Ostrich Feather Hair Clip. 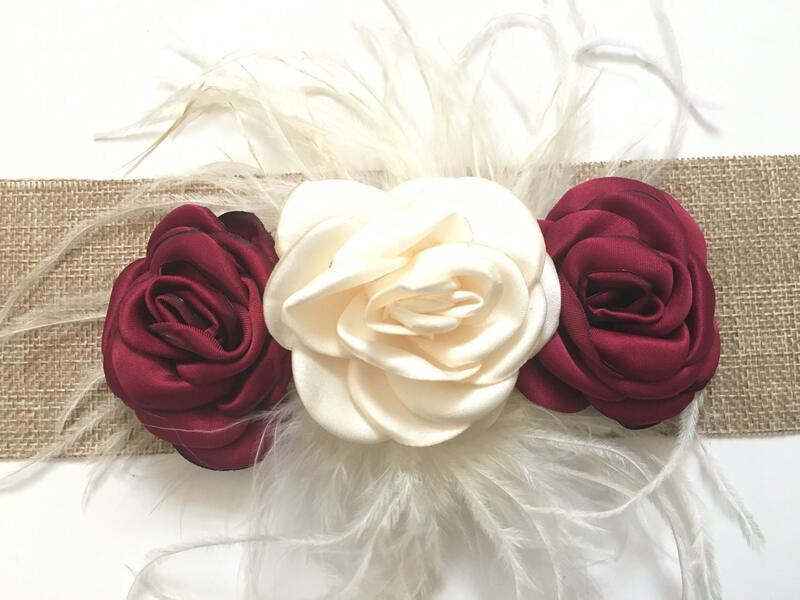 Available on Stretch Elastic Headband. 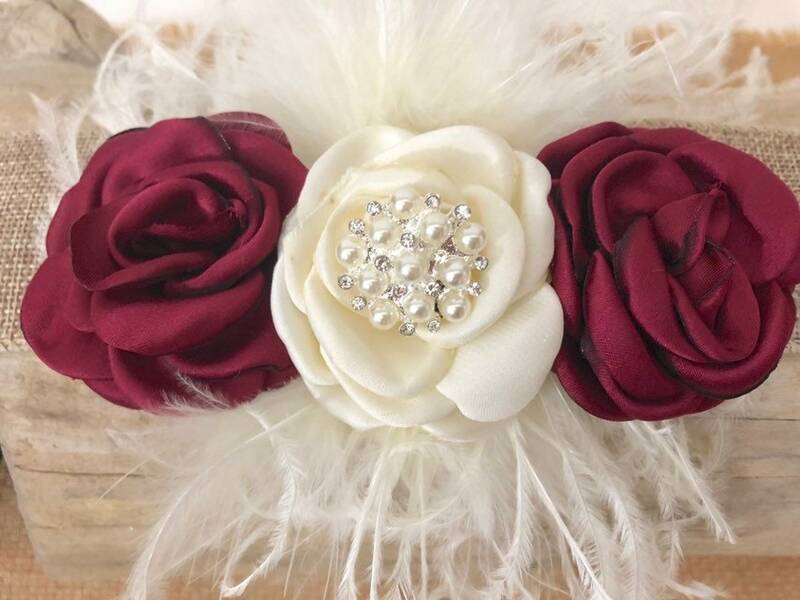 Perfect for Baptism, Weddings, Special Occasion.